One of the simplest and quickest ways rack up points for frequent flyers is earn miles with Airline B even though they bought a ticket with Airline A. For example, just because you bought a ticket on United doesn’t mean you have to earn miles with their Mileage Plus program. In fact, you can actually earn miles with 19 other programs with a United fight. 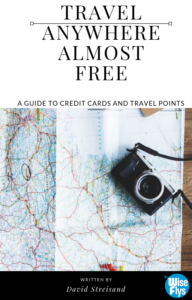 With every paid flight, you have the option of crediting the redeemable miles earned for that flight to one participating airline program that will accept crediting the miles into their program. No awards credit card needed! Fortunately, there is a website for that. The guys over at WhereToCredit.com created a really handy redeemable mileage calculator for almost every airline program out there. To get started, you will need to know the airport codes of your origin and destination, the airline, and the booking/fare class. All of these details are included in the booking confirmation or e-ticket of your flight. With all those details in tow, plug them into the calculator to get a list of results. Results of a United Airlines economy (Fare Class Y) flight from New York to Paris. For most airlines, redeemable miles are a percentage of actual flown miles based on your fare class (ie. how much you have paid for the ticket). Naturally, the most expensive premium cabins and flexible tickets will earn the most redeemable miles. Taking a look at our New York to Paris example above with United Airlines, it is interesting to see that you will earn the most redeemable miles by crediting this flight to partners Air China, Azul Airlines and Luftansa (Miles and More). If you are interested in seeing the percentage points, you can also do that with the same tool by going here. 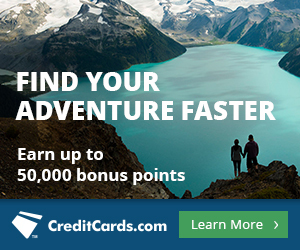 WhereToCredit.com is certainly a gift for Points Bankers trying to maximize their mileage returns, but there are a couple of key caveats when using it. 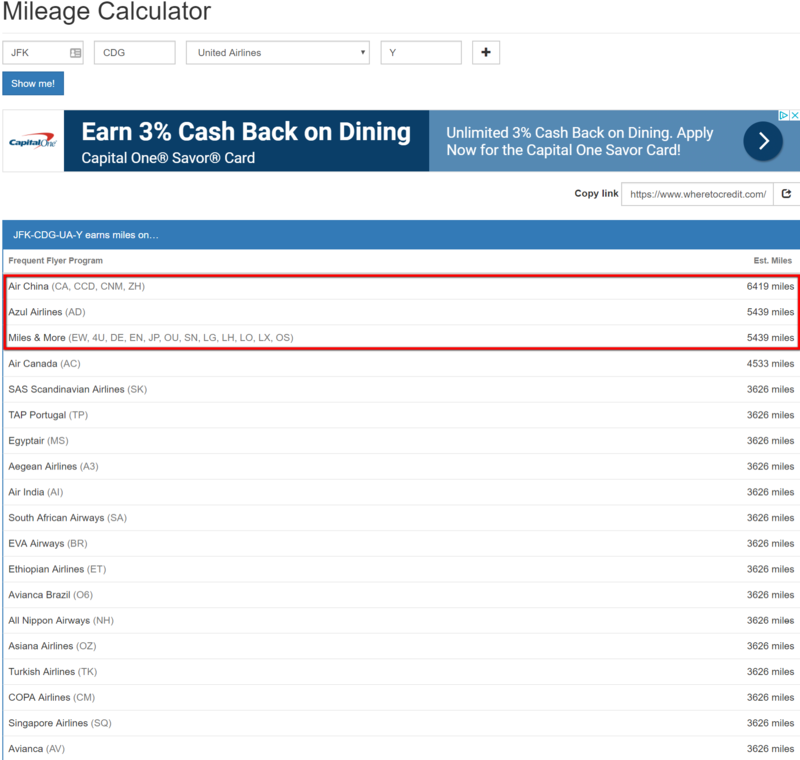 The rate to determine redeemable mileage can change at any time so it is important to verify the miles earned with the airline’s program or its partners by looking it up directly on the airline’s website. 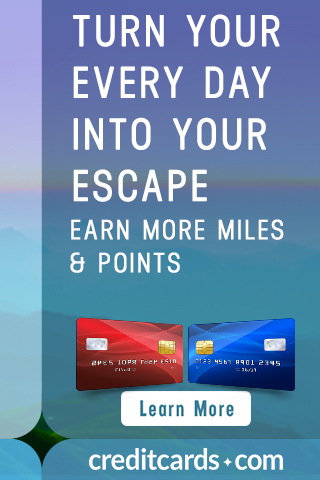 Just because you can earn more miles by crediting it to another airline doesn’t mean you should. You need to take into consideration how much an award ticket costs for a possible future flight with the airline you are planning to credit to in order to gauge whether or not it is worth it. Along the same lines as #2, crediting to partner airlines should be used more often than not to consolidate miles into a single program so you don’t spread your miles across too many programs. You will need to make sure that the correct program you want to credit the flight to is in your itinerary before the flight is completed. It can get messy if you try to credit a flight to another airline program after it has already been credited to a program you specified at takeoff. 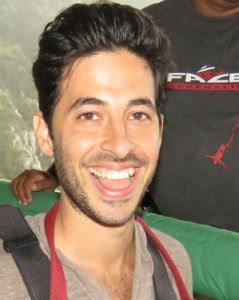 PreviousPrevious post:Family Flights To Costa Rica For $22NextNext post:Online Shopping Is A Miles & Points Gold Mine!